Even your four legged friend can sense that there is something very magical about the holiday season! You love spending time with those you love, and including your dog in every special family event is what makes the holiday special. He's completely irresistible, playful, smart, loving and will never let you out of his sight. 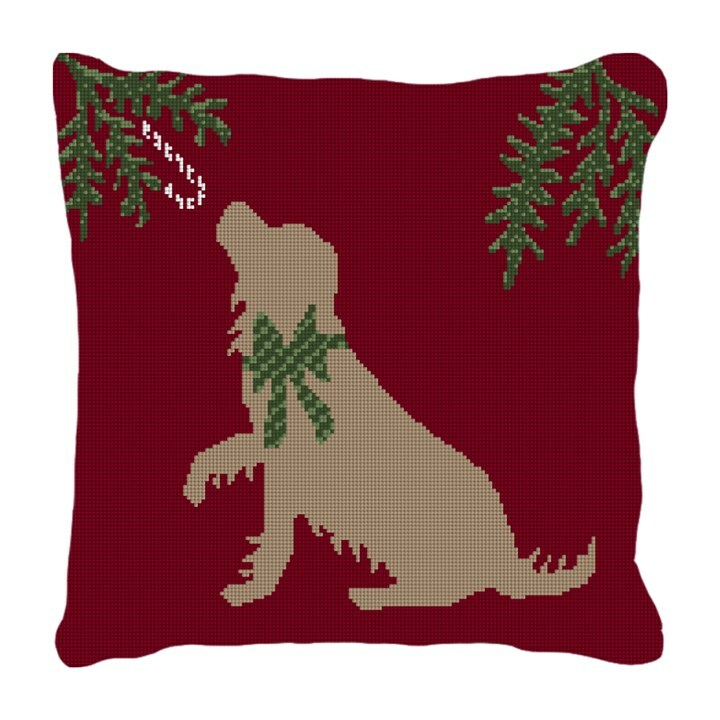 This is a fun needlepoint pillow to stitch, which will add a seasonal touch to your holiday decor.